On 15th. 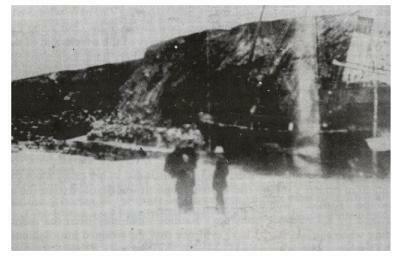 November, 1883, the 137 ton iron steamer, Rathlee, was wrecked at Enniscrone. Her crew of 14 survived. She was bound for Liverpool from Ballina with general cargo. Parts of the iron superstructure remain buried near the Enniscrone Bath House.